Midco Archives · Stop the Cap! Some Midco customers in Fargo, N.D. will be able to buy gigabit broadband from the cable operator in a field trial scheduled to start in March. 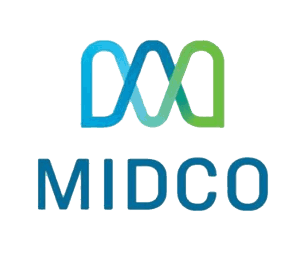 Midco (formerly Midcontinent Communications) is moving forward on plans to offer gigabit speeds to all 330,000 of its customers in more than 300 communities in Minnesota, North and South Dakota, and Wisconsin by the end of 2017. Launching field trials is the first step for the cable operator to get experience delivering 1,000Mbps service using the newest cable broadband standard – DOCSIS 3.1. Although Cisco will power the gigabit platform, the company has yet to announce what DOCSIS 3.1 modem(s) it intends to supply customers. After Midco gets initial results from its trial in Fargo, it will roll out a pilot program for gigabit service to customers in Sioux Falls, S.D. before the end of this year. No pricing details have been announced. Midcontinent Communications customers will be able to get gigabit broadband speeds… by the end of 2017. Midco is waiting for DOCSIS 3.1 to support the fastest broadband speeds instead of dedicating more bandwidth to support 1,000Mbps service under the current DOCSIS 3.0 standard. The company has started to deploy Cisco’s cBR-8, a new Converged Cable Access Platform that will fully support DOCSIS 3.1 – a more efficient cable broadband standard expected to be deployed by larger cable operators like Comcast beginning next year. The new standard will support speeds up to 10/1Gbps, but most cable systems are expected to offer only a fraction of those speeds. Midco’s 300,000+ customers in Minnesota, North & South Dakota and Wisconsin already receive speeds up to 200Mbps, and the faster the service offered, the more data used. Midcontinent publishes a promotional and retail price list fully disclosing their pricing, a rarity among cable operators. Midco’s broadband tiers have no usage caps. Despite offering free over-the-air television, ABC is putting its programming and stations behind a new paywall that can only be breached by “authenticated” cable and AT&T U-verse subscribers able to prove they already pay to watch. Watch ABC is the television network’s contribution to the cable industry’s “TV Everywhere” project that offers online viewing options for current cable television subscribers. 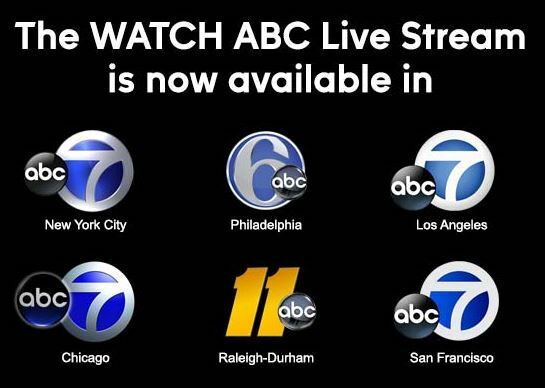 During the “online preview,” ABC permitted online viewers within confirmed coverage areas to watch the station nearest them for free. Now, viewers will also have to confirm they are paying cable or AT&T U-verse customers to watch online. But even then, not everyone will qualify. ABC only has streaming authentication agreements with AT&T U-verse, Cablevision, Charter, Comcast, Cox Communications, and Midcontinent Communications. Watch ABC is currently off-limits to everyone else, including customers of Verizon FiOS, Time Warner Cable, and both satellite services. ABC has also banned IP addresses known to be associated with anonymous proxy servers. This measure is designed to enforce geographic restrictions to be sure only local viewers can get access to the station in their area. By this fall, ABC affiliates owned by Hearst are expected to also join Watch ABC’s paywall system. ABCNews.com announced an experiment with a paywall in the summer of 2010. It never came to fruition. One of the country’s smallest cable operations grew a little bigger this month with the acquisition of 113 US Cable-owned systems in rural Wisconsin and Minnesota. Approximately 33,000 customers in communities like Brewster, Heron Lake, Okabena, and Round Lake will be transitioned from New Jersey-based US Cable to Midcontinent this fall. They will join over 275,000 Midcontinent customers in North and South Dakota, Minnesota, and Wisconsin. US Cable sold the cable systems as the company continues to unwind its partnership with Comcast. Midcontinent intends to beef up its customer service operations by opening a new call center in West Fargo, N.D. Eventually, US Cable subscribers will find their Internet services transitioned to Midcontinent, which delivers service over a reasonably advanced hybrid fiber-coaxial network.